Martine Eger is a qualified makeup artist, hair stylist and entrepreneur. She is an outstanding makeup artist for regular people, with the aim of emphasising their best features, hide imperfections and downplay any weaker features. Martine is also very experienced in makeup artistry for performers, entertainers in theatre and television, which often requires different techniques, like making someone look much older, or applying realistic looking wounds. Martine started her career in theatre predominantly, and now mainly works for television, photoshoots, special events and concerts. She has done makeup and hair for Dutch tv channels as RTL4, KRO/NCRV, Talpa and VARA/BNN. Dutch celebrities to have graced her chair are Sophie Hildbrand and Nicolette Kluijver of tv show “Spuiten en Slikken”, the cast of “De Lama’s”, Dennis and Valerio of “Proefkonijnen”, professional traveller Floortje Dessing (pictured), Ivo Niehe of “Tros TV Show” and many others. Martine has also done makeup for international stars like Kim Cattrall, Alicia Keys, Queen Noor of Jordan, Annie Lennox, Nigella Lawson and many others. The Make-up Factory was established in the year 2000. Do you require professional makeup application and hair styling for the recording of a TV show, a vlog, a YouTube clip, a concert, a photoshoot, a commercial or an event? The Make-up Factory outsources numerous highly acclaimed reputable freelance makeup artists and will ensure that you will be paired up with the most suitable professional(s) for your needs. We are also available to the regular public for personalised makeup advice or makeup application for a special occasion. For any queries, further information, bookings or a quote, feel free to fill out our email form and we will contact you soon. 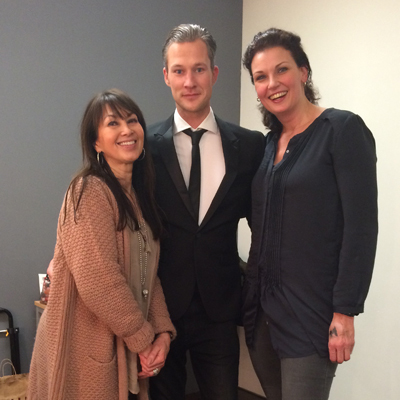 You are also welcome to send us an email via info@themakeupfactory.nl or give us a call on +31 20 470 4292.